We have stayed with Bugis 3 times , we have been to 2 different villas , both were amazing , the villa staff & security are fantastic and very polite , the entire stay was perfect , the villa was kept to perfection , we will be back again next year. 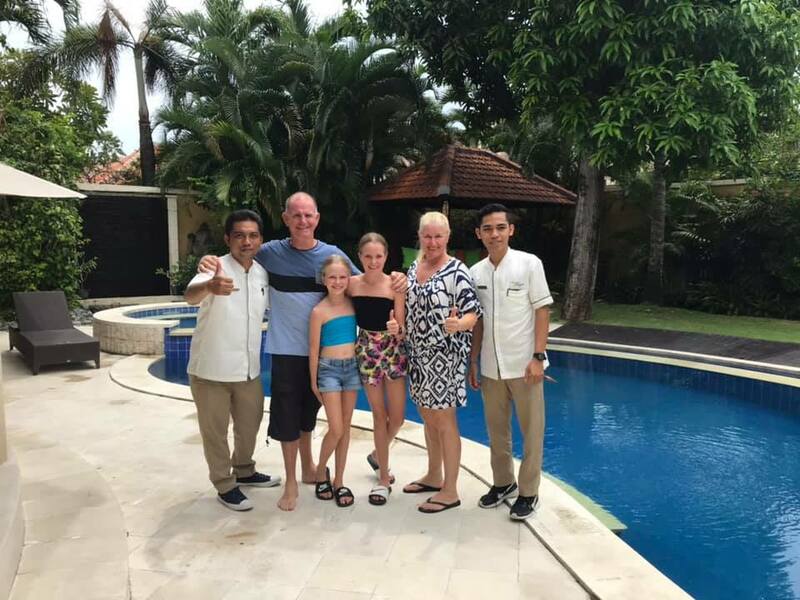 A great place to stay, fabulous villa very friendly and helpful staff. .a local map would be helpful for the first couple of times you walk from the villa to shops or beach. 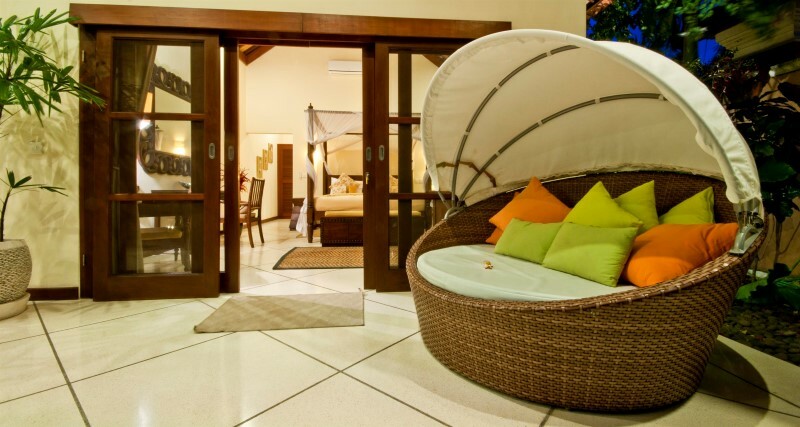 • Has a connecting room - perfect for families! 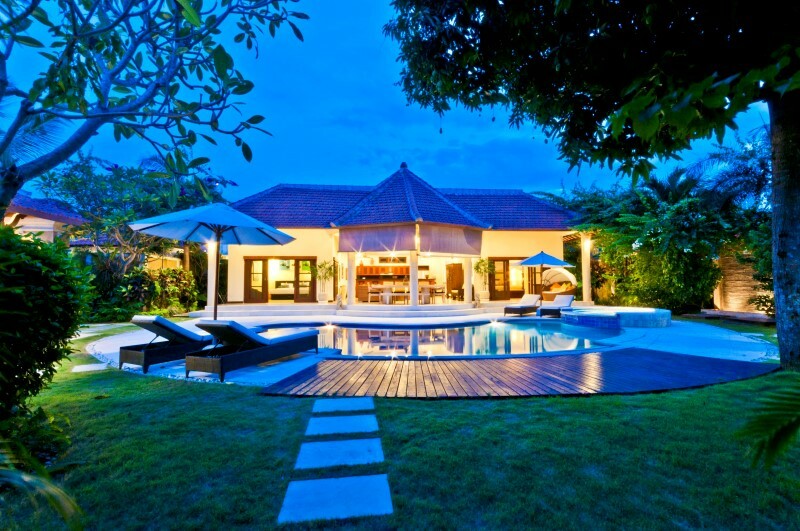 Villa Mango’s main building faces east across the swimming pool so that guests can enjoy the sunrise every morning. 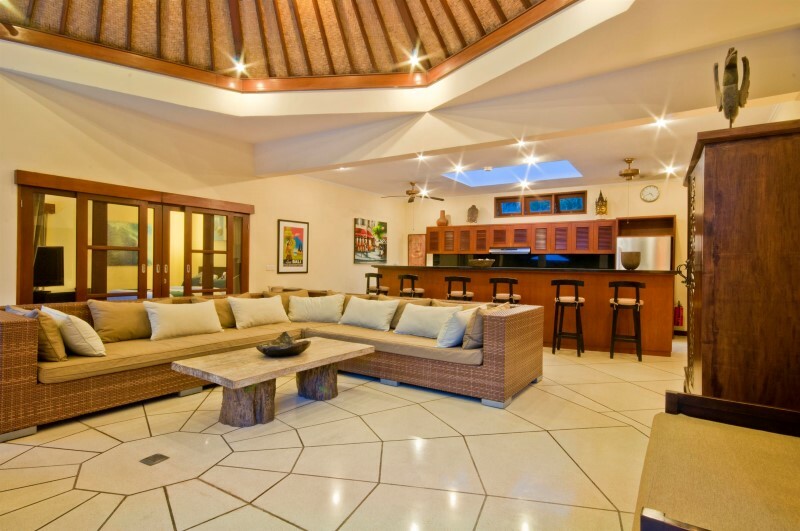 Set across the back of the main living space within the main building is a spacious open plan kitchen area with breakfast bar. 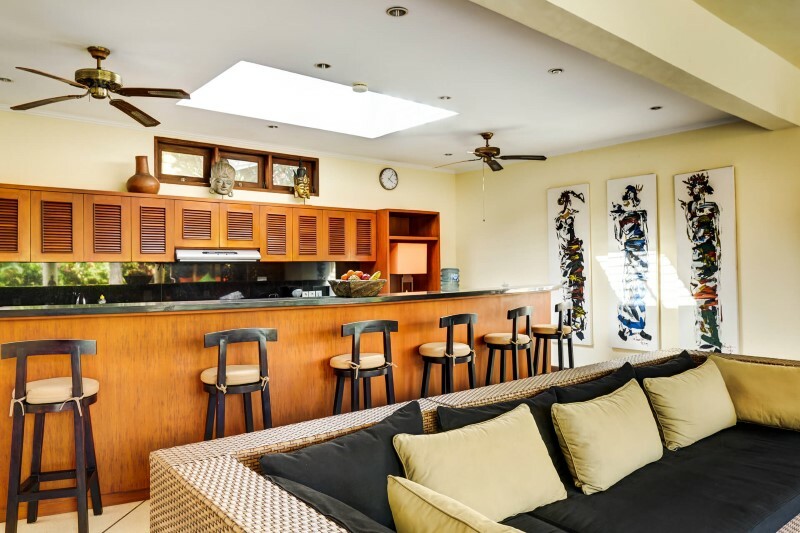 The kitchen is fully-equipped with a stove, a microwave, a coffee maker, a juicer and a water dispenser, as well as cutlery, ample china and a maxi bar. 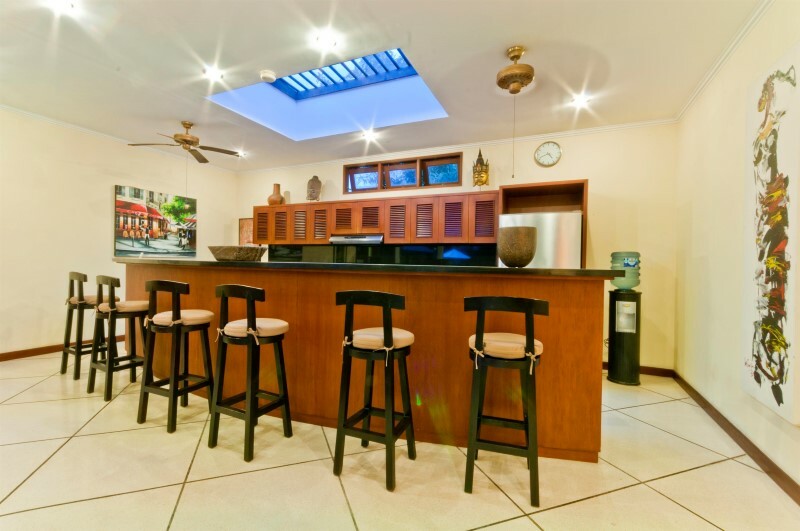 In front of the kitchen is the living area with a comfortable corner suite, encouraging family and friends to gather and socialise. 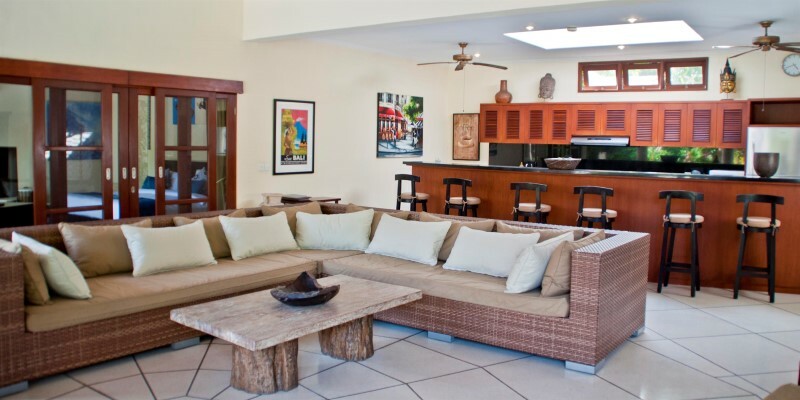 The living area also has a large plasma television with cable TV access to more than 50 international channels, as well as CD and DVD systems. 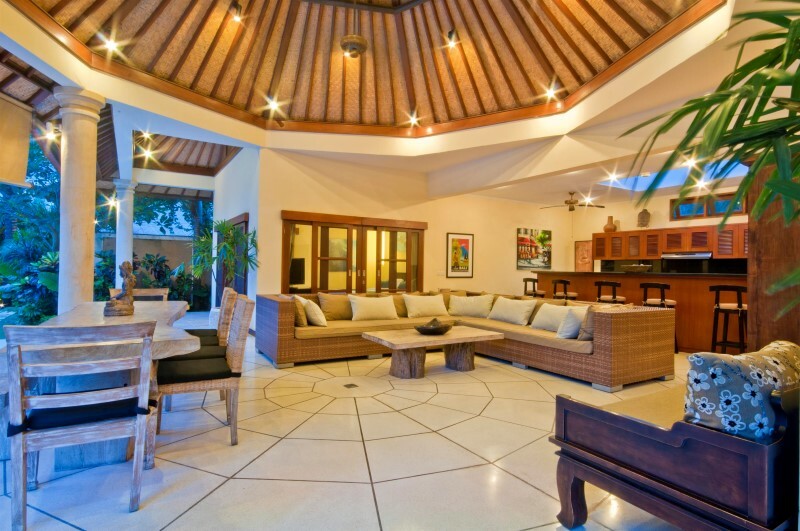 Positioned in front of this, overlooking the pool is the large wooden dining table, with matching bench and chairs. 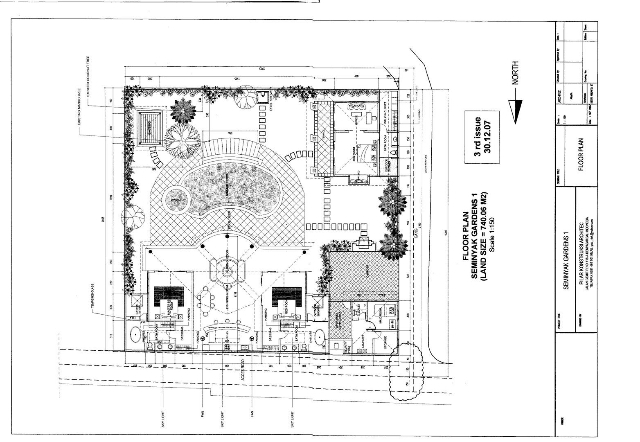 Across from the main building is a guest house with a bedroom and extra seating area. 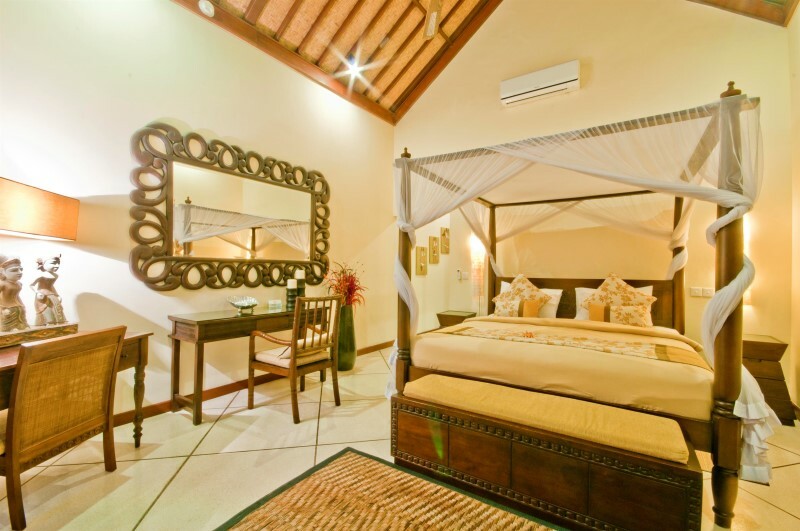 The villa has three en-suite bedrooms, all featuring air conditioning and ceiling fans. 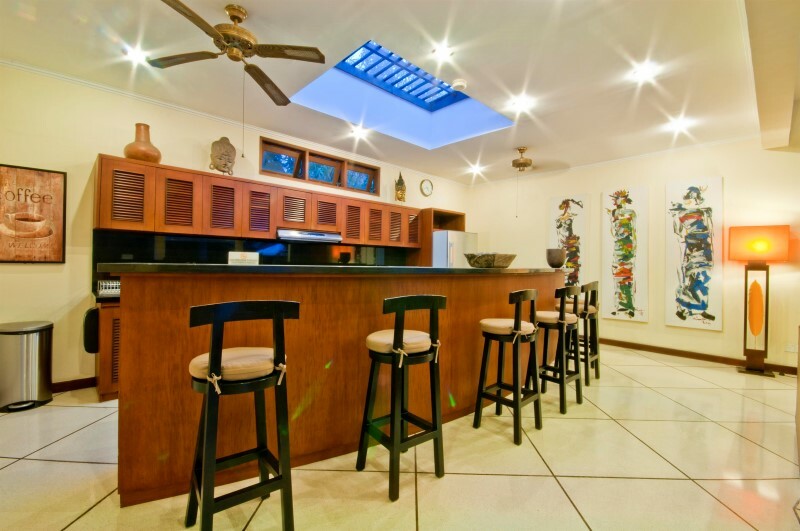 Two of these are attached to either side of the main living space, while the third is in a separate guesthouse, next to an extra seating area. . The master bedroom also has a connecting children’s room. 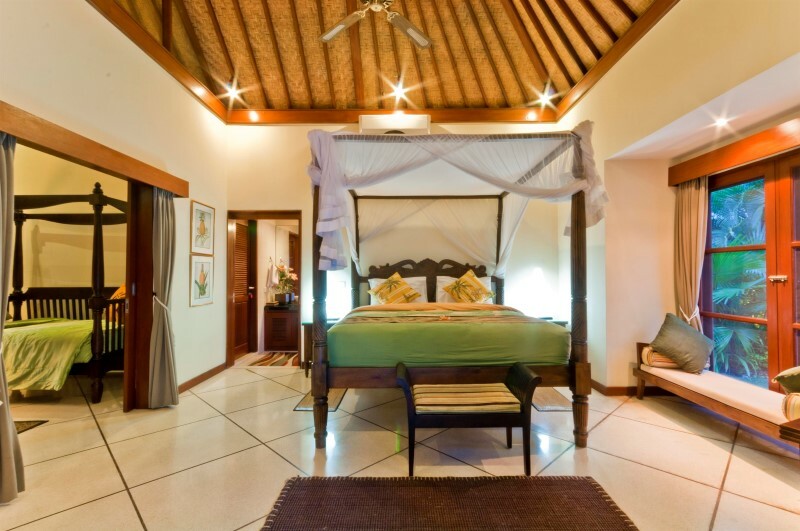 All bedrooms have king sized beds, but one has the flexibility to convert to two single beds. 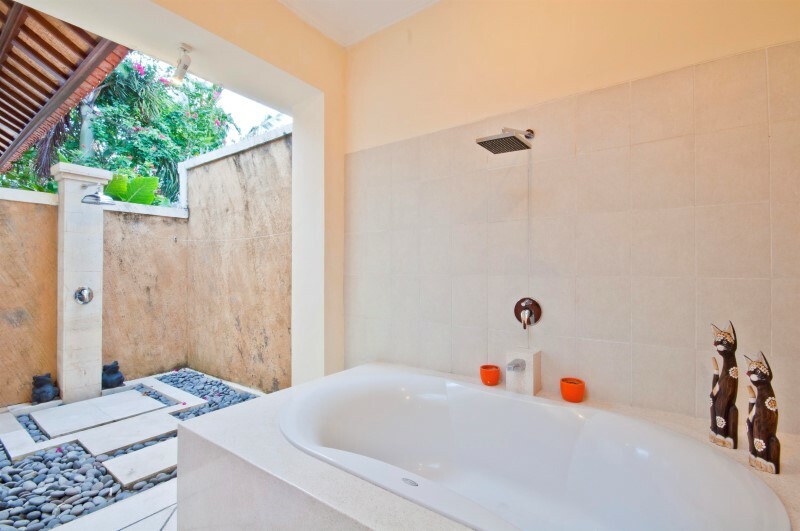 Each of the bedrooms has a semi-outdoor en-suite bathroom containing a shower, with two of them also featuring a large terrazzo bathtub. 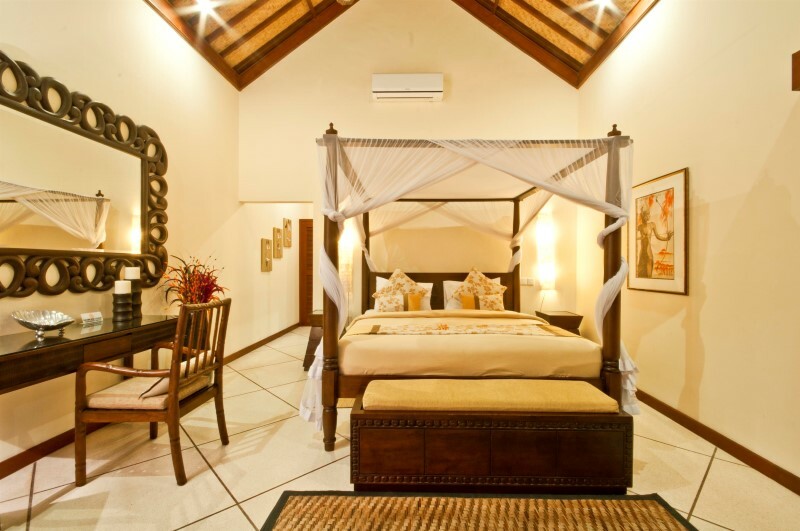 Every bedroom also has its own television. 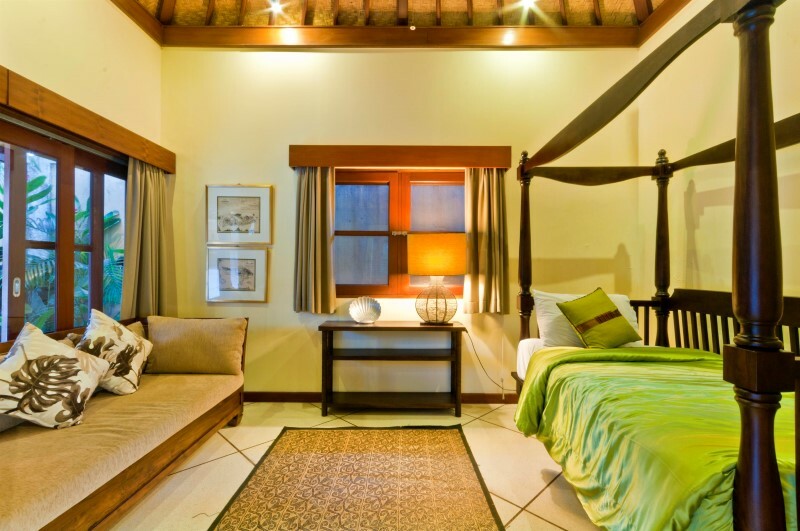 The third bedroom, within the guesthouse, also features a walk-in dressing room with generous wardrobe space. 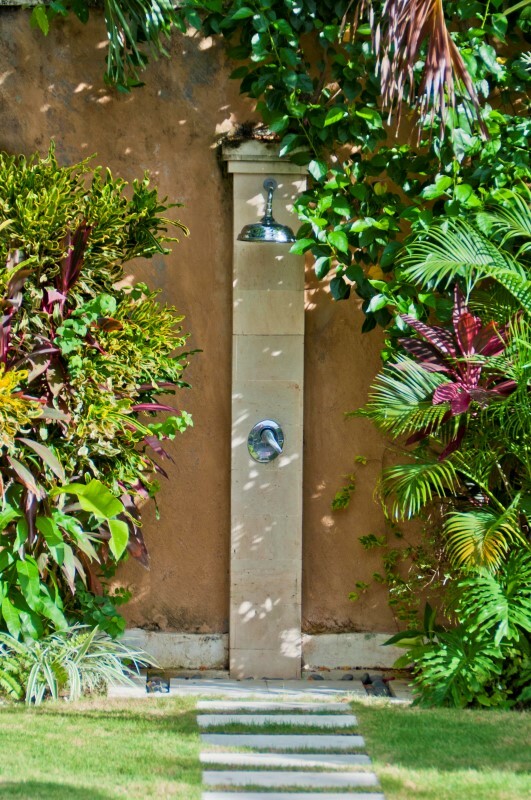 As soon as you enter you will be greeted by a running water feature and small pond area by the side of the guesthouse, with stone steps through to provide access to the guesthouse. 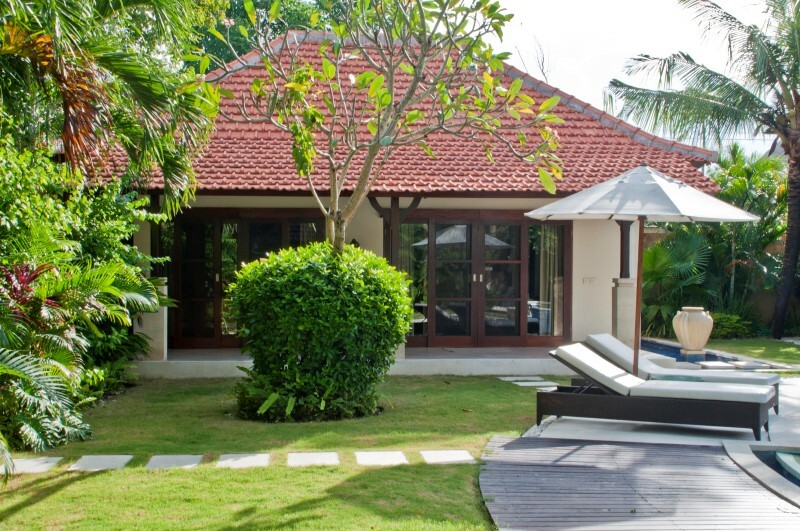 The garden area is purpose-built for relaxing in the warmth with a small pavilion which contains a comfortable daybed and provides cooling shade next to the swimming pool. 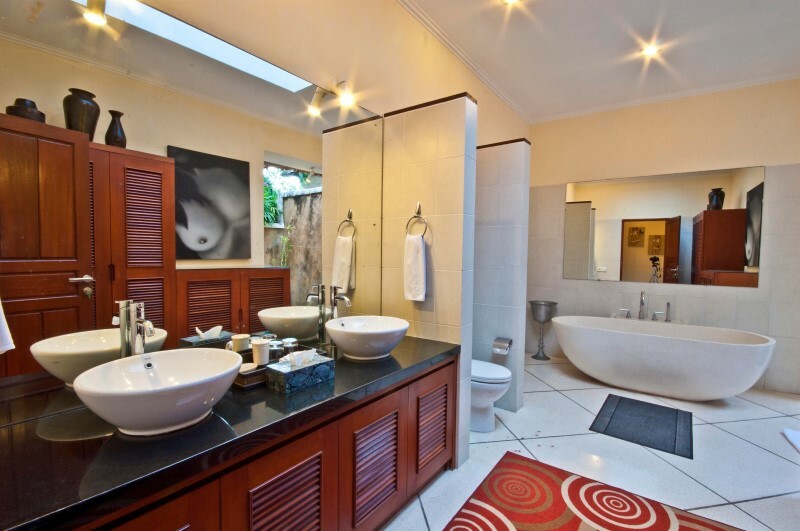 There’s also a Jacuzzi at one end of the swimming pool to add to your enjoyment, with an outdoor shower for your convenience. 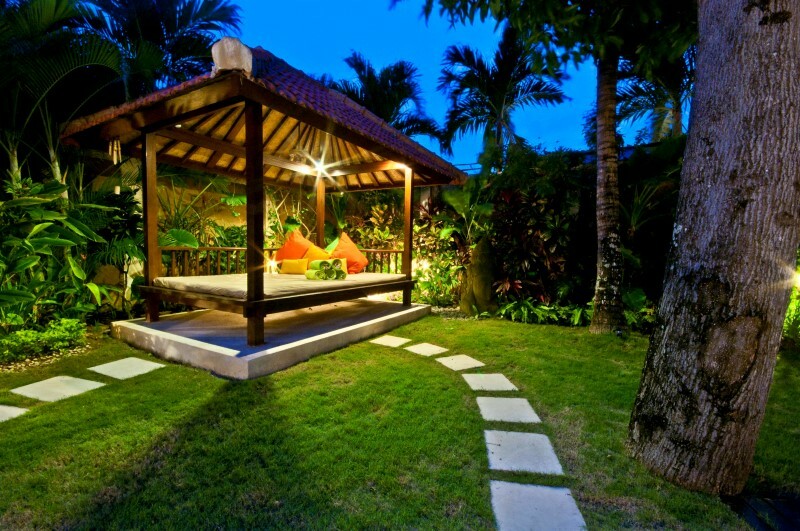 There are also several sun lounges and other seats within the garden space for you to sit and enjoy, surrounded by luscious green lawns, tropical plants and palms. We are a family of 4 and have never been disappointed with our youngest being nearly 3years on our first stay. 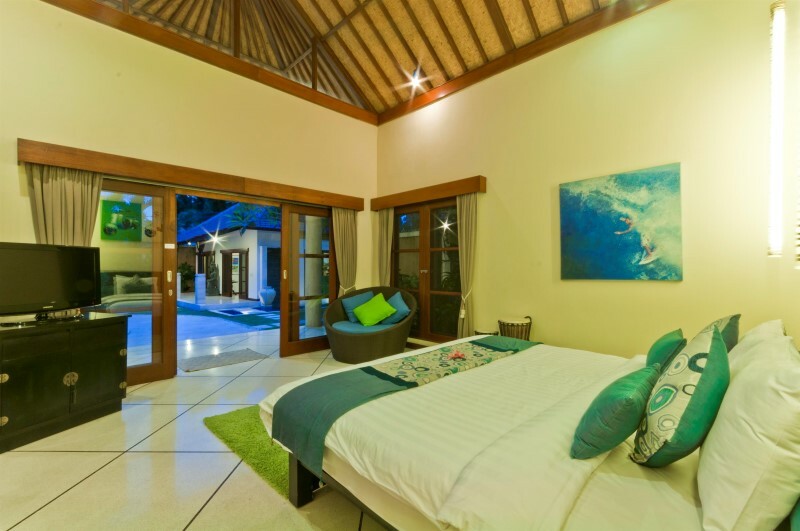 The Villas are situated in a great location for shopping, really good local and restaurant eating and close to the beach for that unforgettable sunset! The minute you arrive you will not be disappointed!! 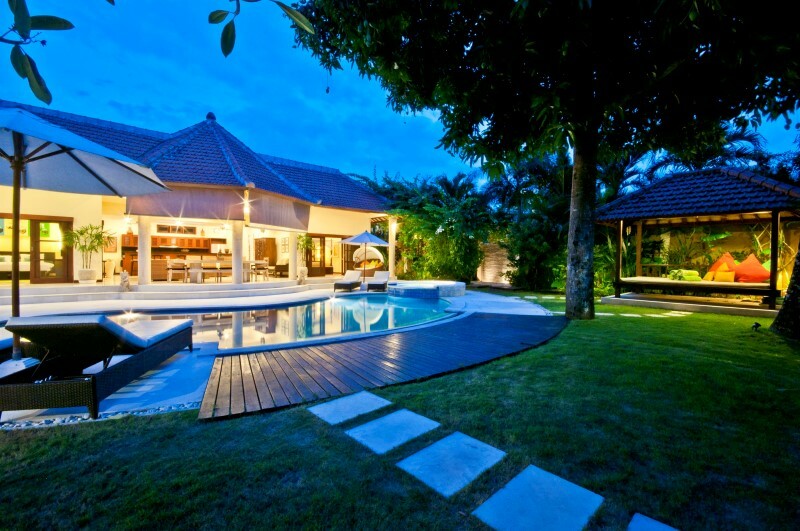 highly recommend staying with Villa Bugis. 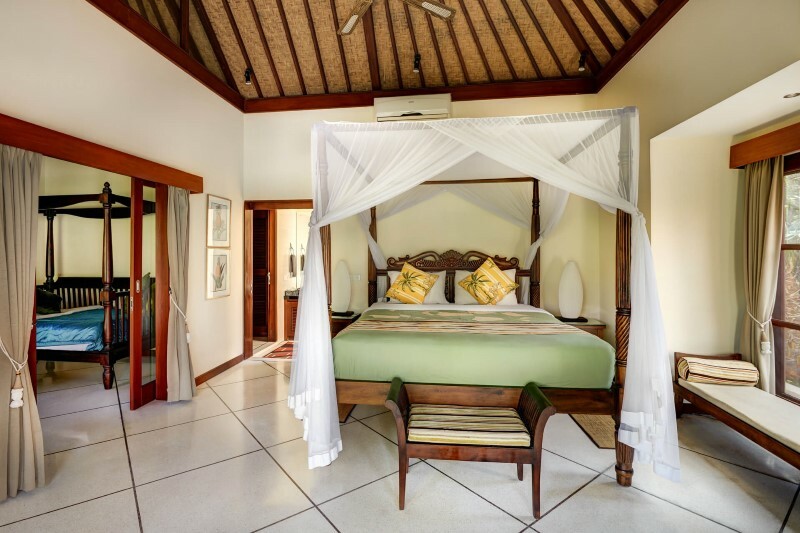 We spent 12 nights at Villa Mango and could not rate it high enough! The staff were wonderful and always available. Love how they come in and prepare lovely breakfast every morning. 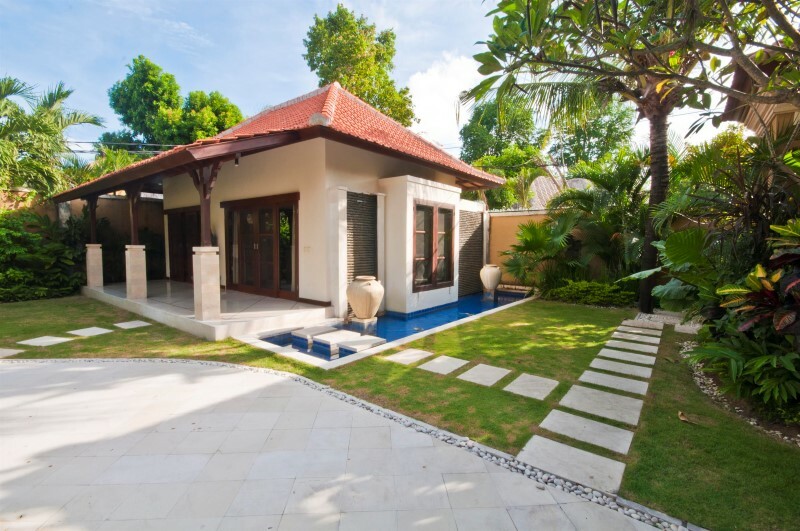 Close walk to both Bintang supermarket and the spa Bali at the other end of the lane way! 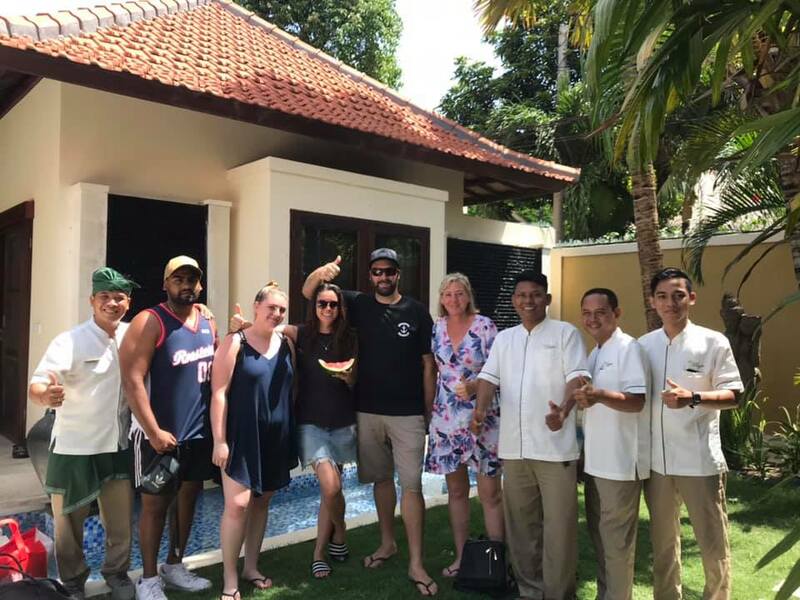 Thanks for a wonderful stay and would definitely stay there again! 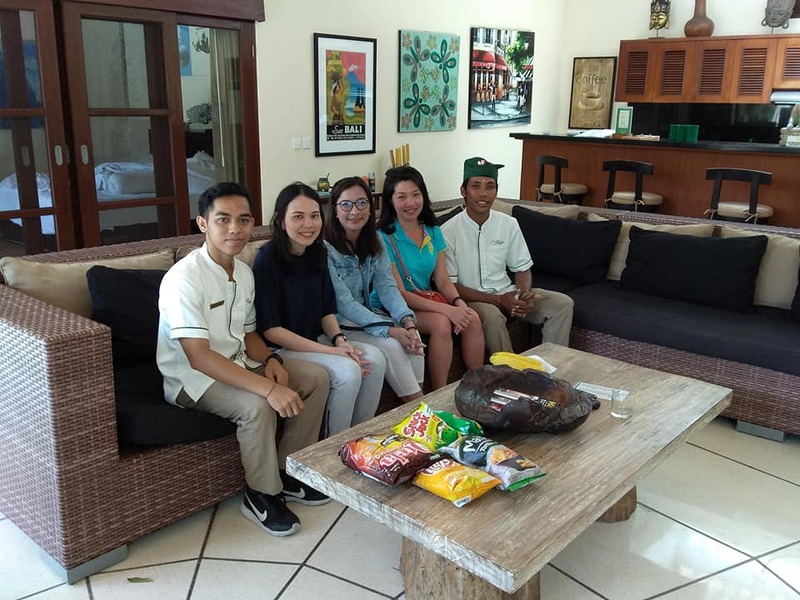 Had a Beautiful stay in villa mango Each and every staff were at our disposal and looking to make your stay most comfortable and pleasant, You have not experienced the true Bali holiday if you don’t rent and live in a villa like villa mango I especially loved the water falls. 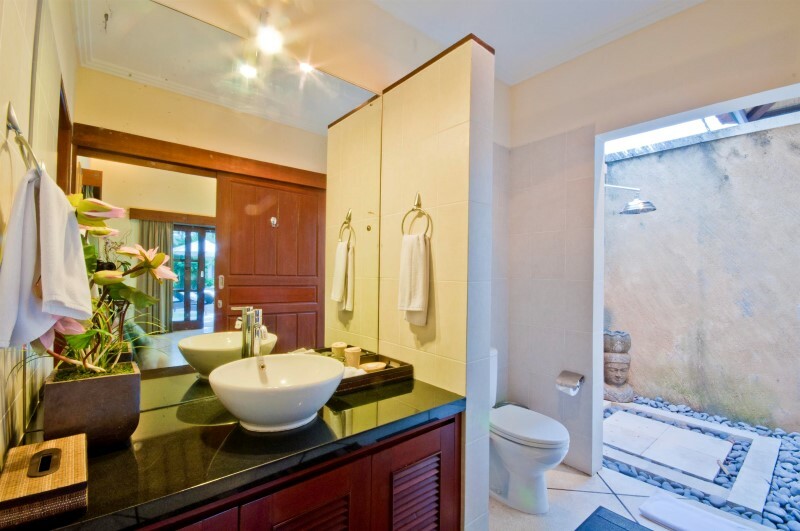 The uniquely designed bathrooms and the garden space Wayan our butler took good care of us, and Wiwik the marketing manager always made sure we were pleased Enjoy your stay!! 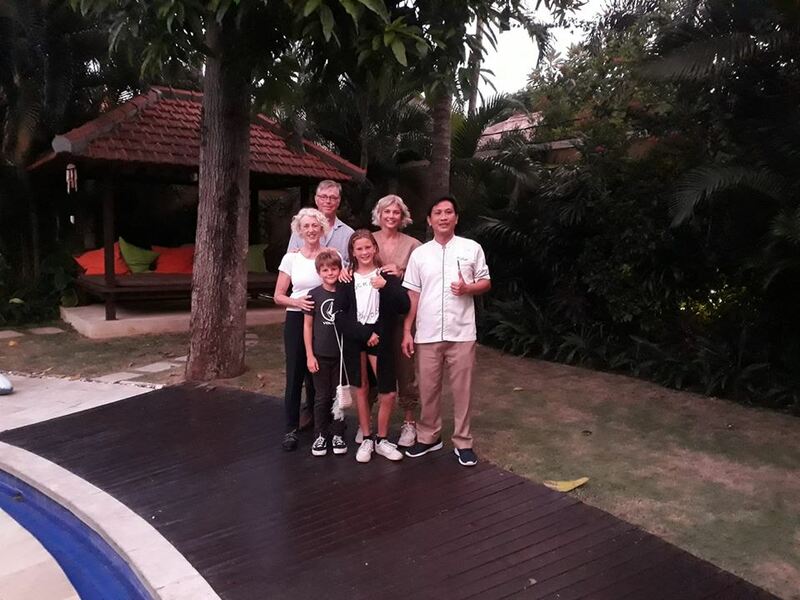 Our friends stayed at the Villa and we went over for a dinner party. 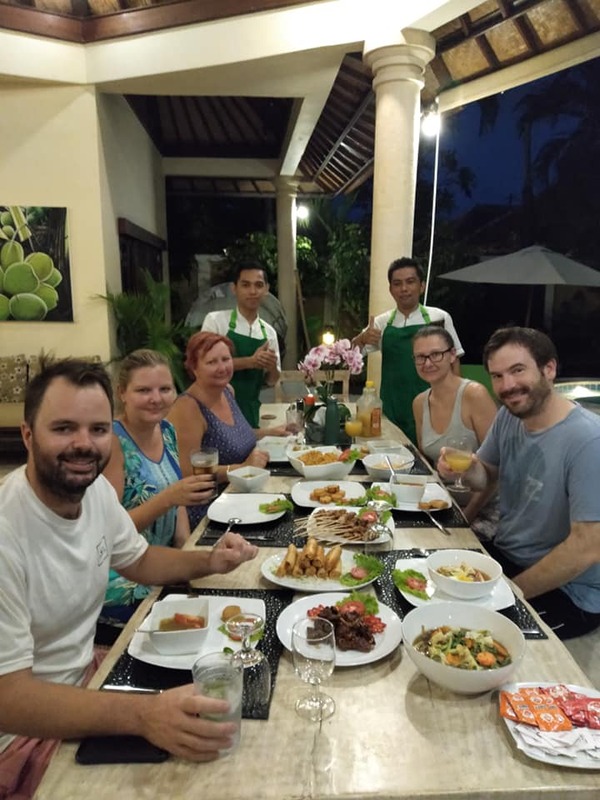 The chefs at Villa Bugis cooked some amazing Indonesian dishes, including spring rolls, nasi goreng and the best satay I had during my while stay. The villa was beautiful and so big! 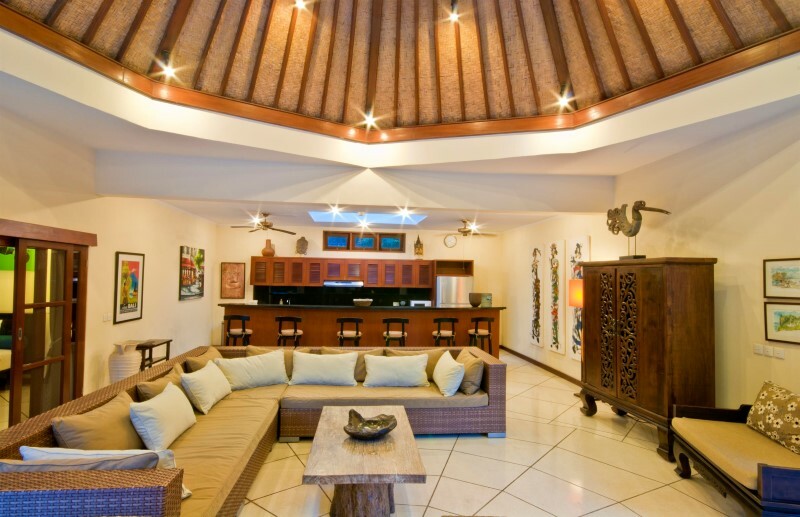 We stayed in Villa Mango. Breakfast cooked every morning. Only a 5-10 min walk to shops etc but I must admit this started to get a bit hot – a scooter ride be handy. Staff were very helpful. Free wifi. 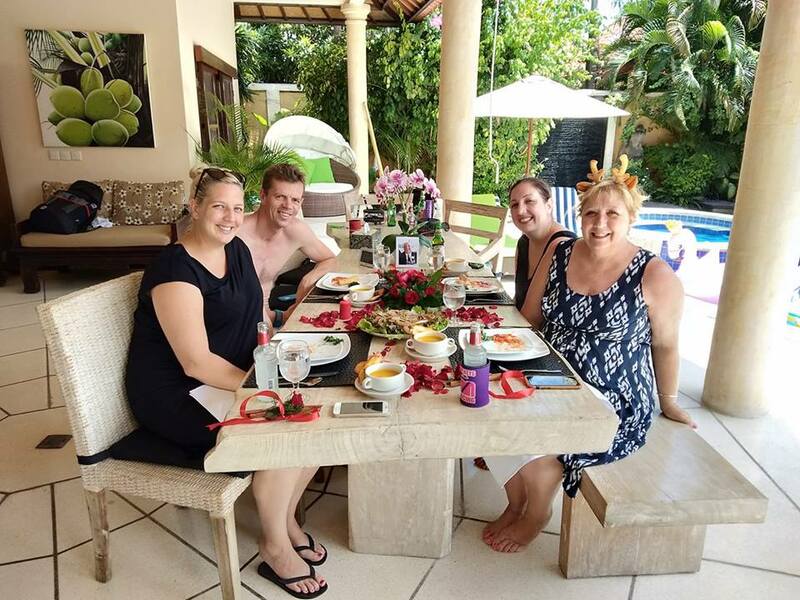 After travelling to Komodo we wanted a short break where we could purely relax, and Villa Mango proved to be perfect, The pool and rooms were clean, tastefully decorated and in excellent condition. We were a short walk to teh beach, and to excellent restaurants. 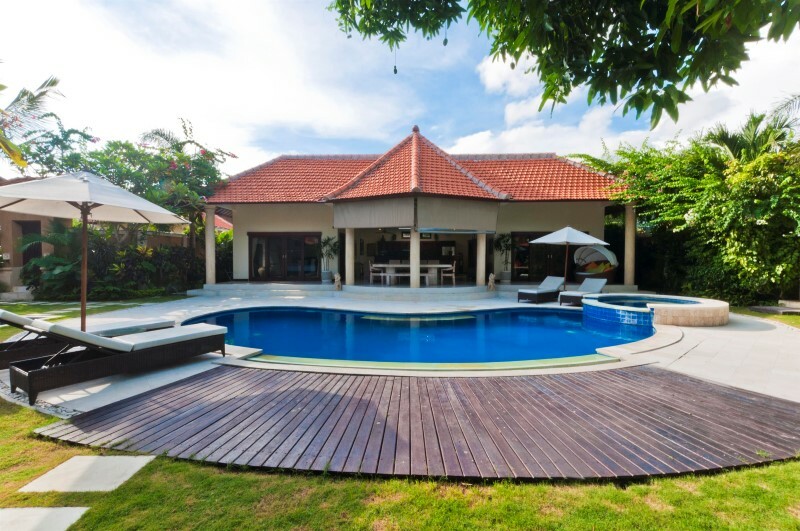 3 spacious bedrooms, a pool, and an awesome lounging indoor/outdoor space. Comfortably housed 5 adults and is definitely enough for a party of 7. 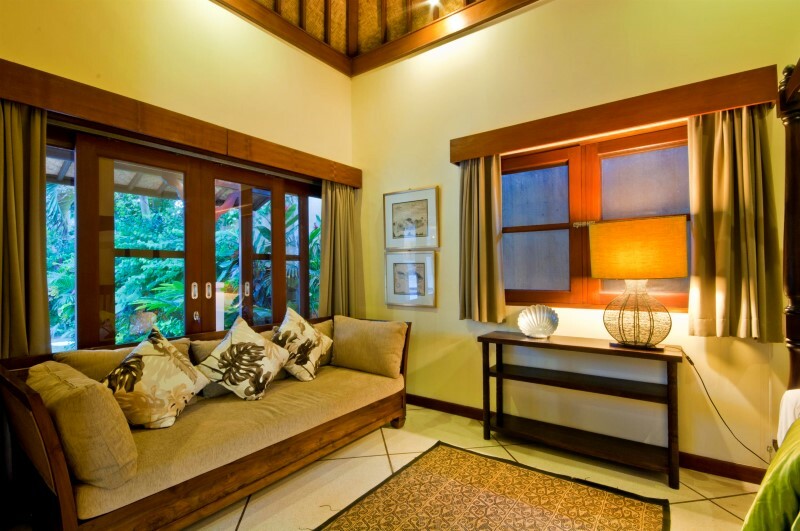 Very conveniently located close to major market and main shopping area of Seminyak. 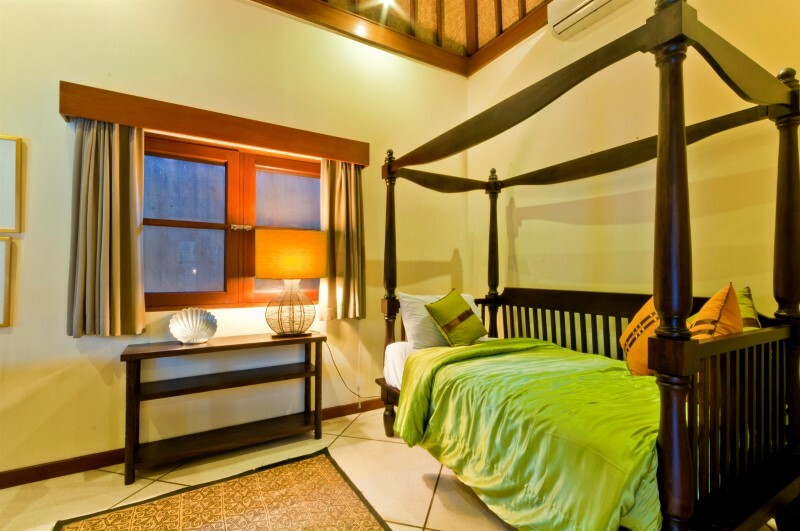 Very tastefully decorated and well maintained by a very friendly service staff. 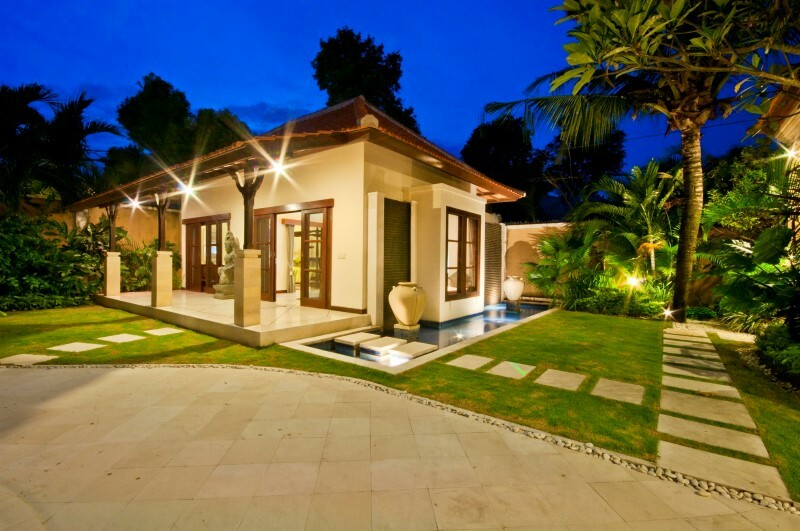 Would use the same villa again. 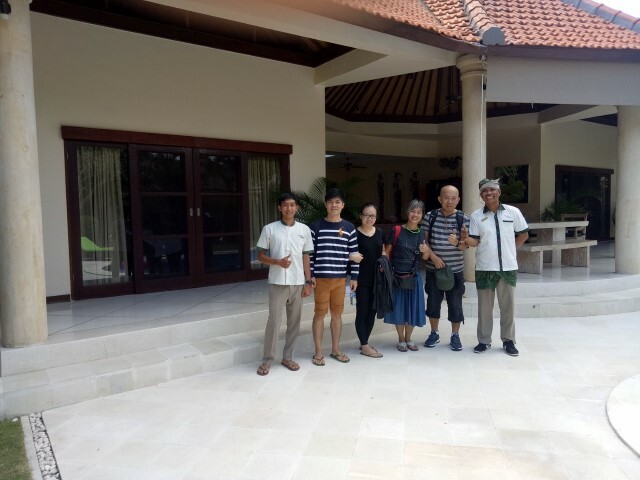 villa bugis was fantastic! 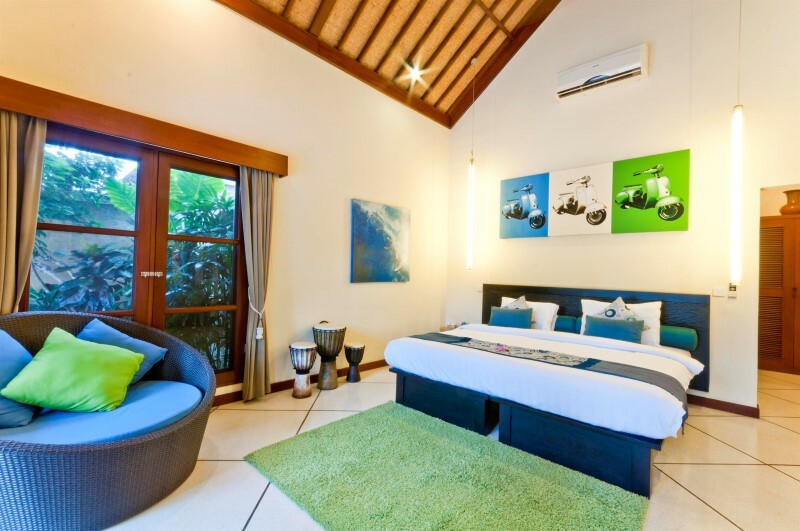 we stayed in villa mango and it was awesome because it was close to the Bintang super market ( which had everything ), close to the beach and also the main road and It is just amazing how you just down a few ally ways and your away from all the load noses from the roads and in your own private villa! the staff are amazing they are so kind and caring and are helpful as well the food they cook is OMG amazing and i am coming back here again. my family think this so good we are coming again in 2016! Villa Mango was fabulous. The location was in a quiet area of Seminyak, just a short walk from the bustling JL Seminyak Road and we were able to collect groceries from the Bintang Supermarket. 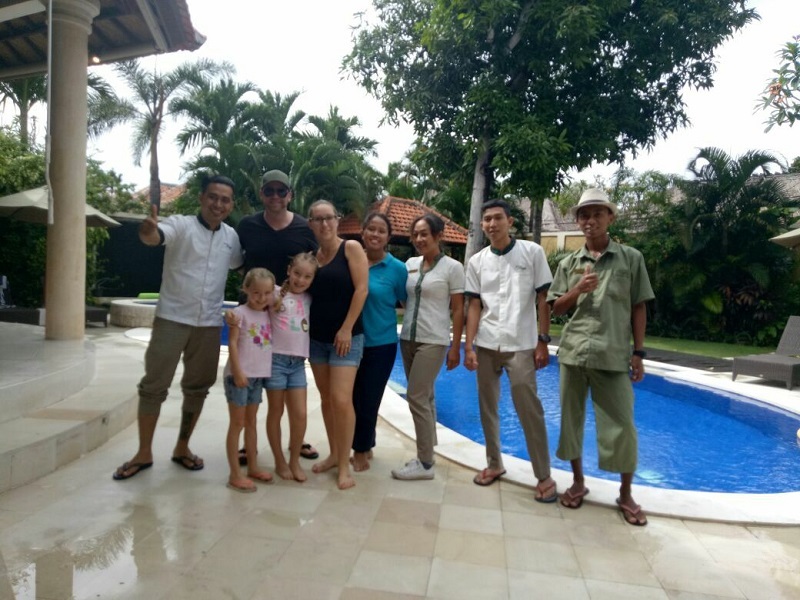 The villa was clean and well set out and the staff were always willing to accommodate our requests. They arranged in house massages and manicures and even a game of golf. We were driven to and from the airport and they had even stocked the fridge with a bag of ice for our drinks. 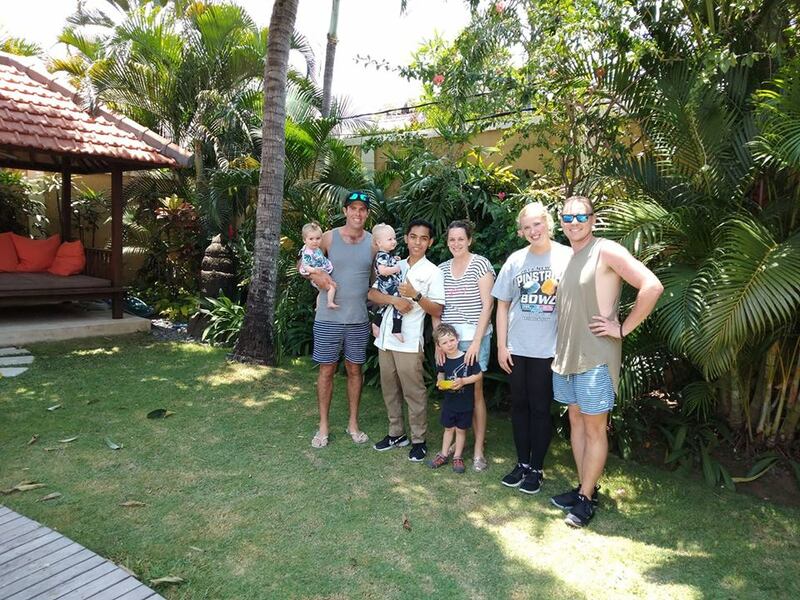 The rooms were clean and comfortable and there was plenty of room for our 2 families to spread out. 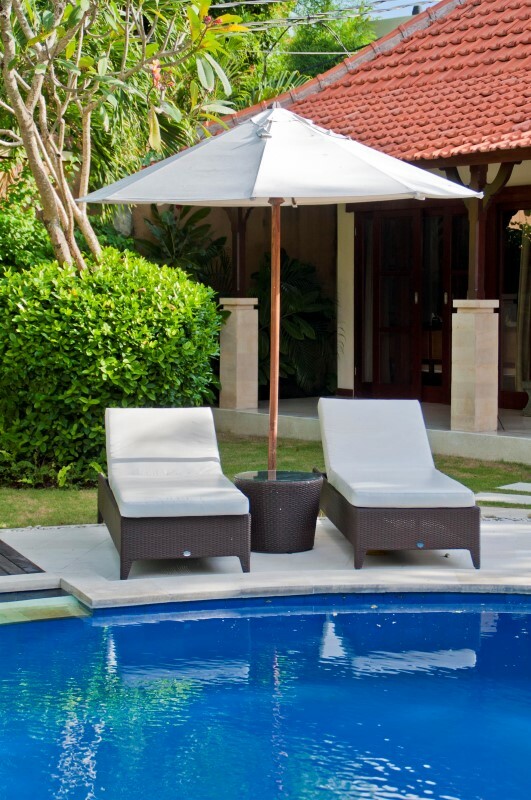 My favorite aspect of the Villa would have to be the pool and day bed. The pool was bathed in afternoon sunshine which was a where we chose to spend a lot of time. 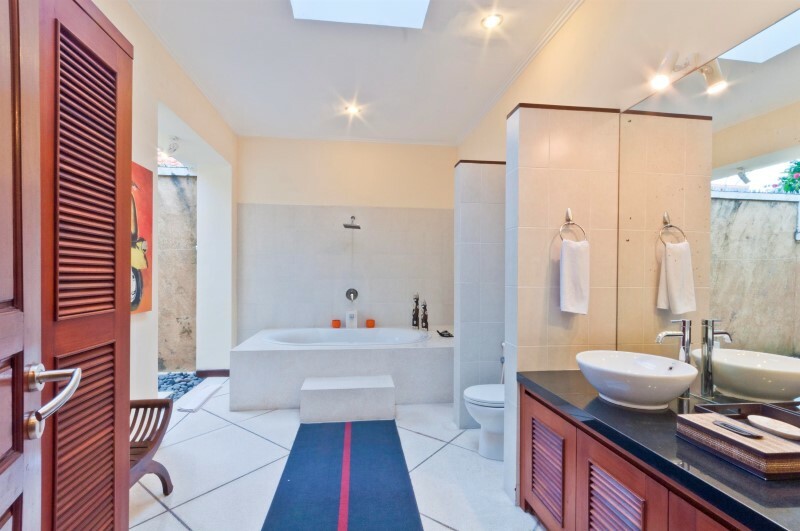 The other highlight was the open air showers. The only thing that I could fault was the internet connection which at times was either very slow or didn’t work at all. There were plenty of restaurants within easy walking distance. We stayed here for 2.5 weeks and it was awesome! 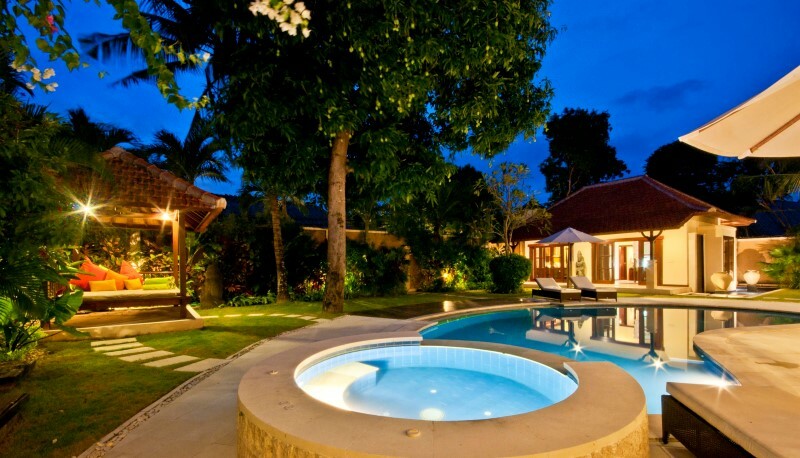 We stayed at Villa Mango. The pool got lots of sun all day and the grounds are quite large for our kids to run around. Kadek was only a phone call away and nothing was too much trouble. If we needed something it was only a phone call away and they came quickly. 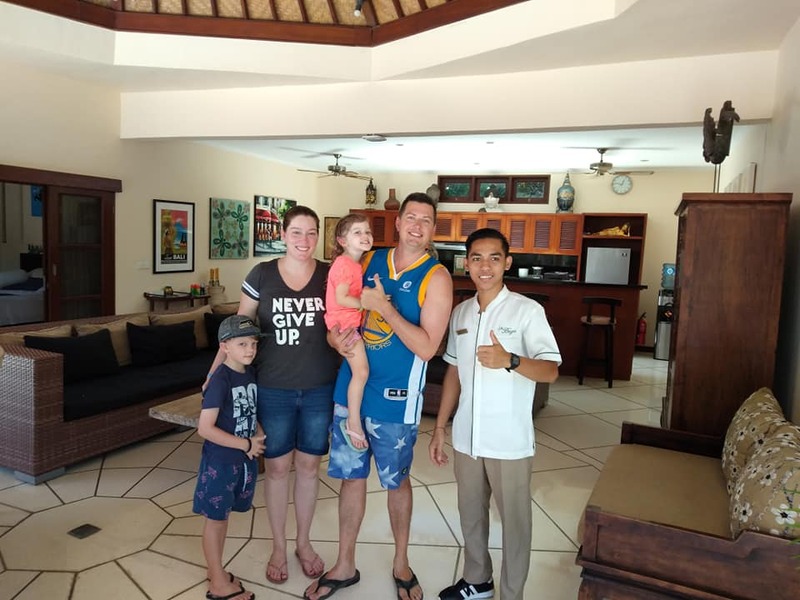 Another good thing about the Villa is that the security office is near the front door so we felt very safe the whole time as I was travelling with my wife and 2 young daughters. 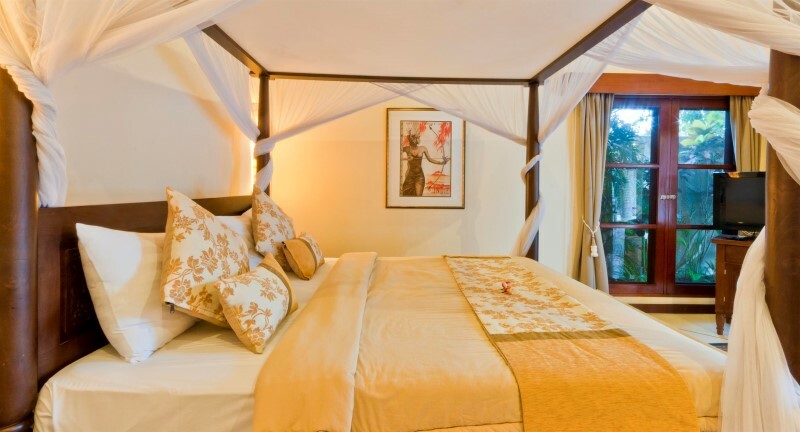 All our interests were well taken care of with excellent service and hospitality, there was even security outside 24/7. One incident that made a big impression on me was the excellent security, I had left our main door open while waiting for our driver to arrive in the morning and was relaxing by the pool when a security guard took notice of the open door and took the initiative to come in and check on us if everything was alright before shutting the door for us after. 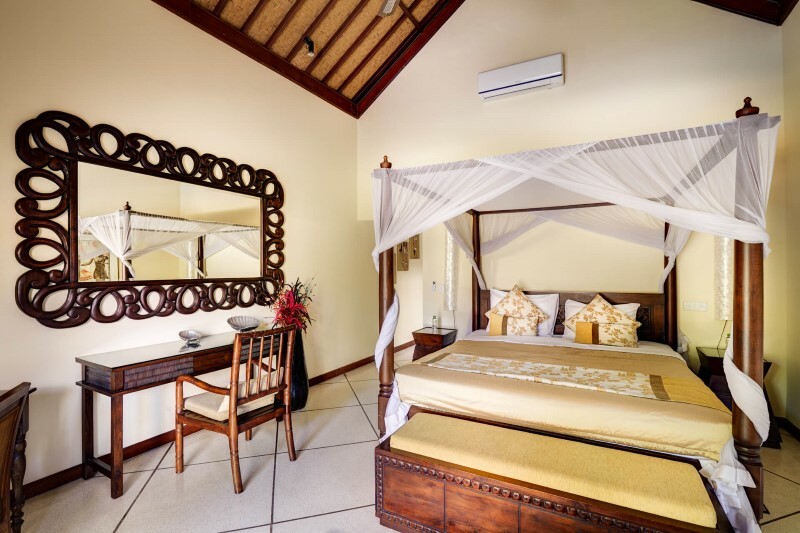 The location of Villa mango was very convenient as well, just a short 10 minute walk away from the beautiful and less crowded double-six beach which had a very beautiful sunset as well as beachfront restaurants. 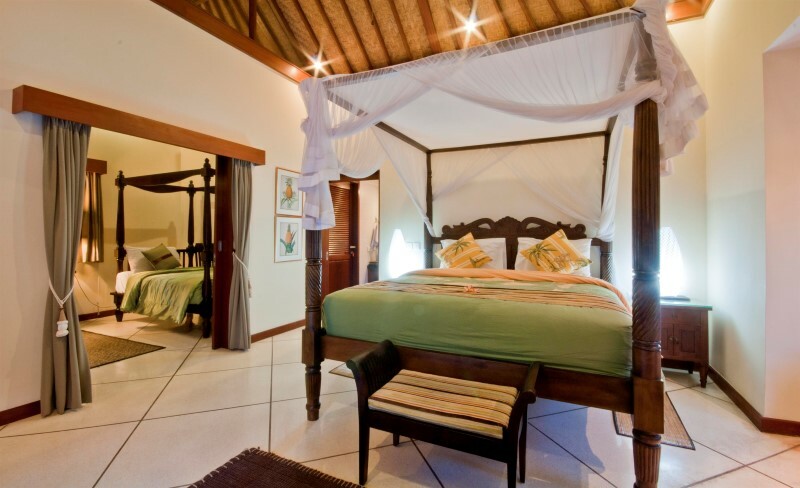 All in all I give the Villa Mango 5 stars for everything and will most definitely come back again!